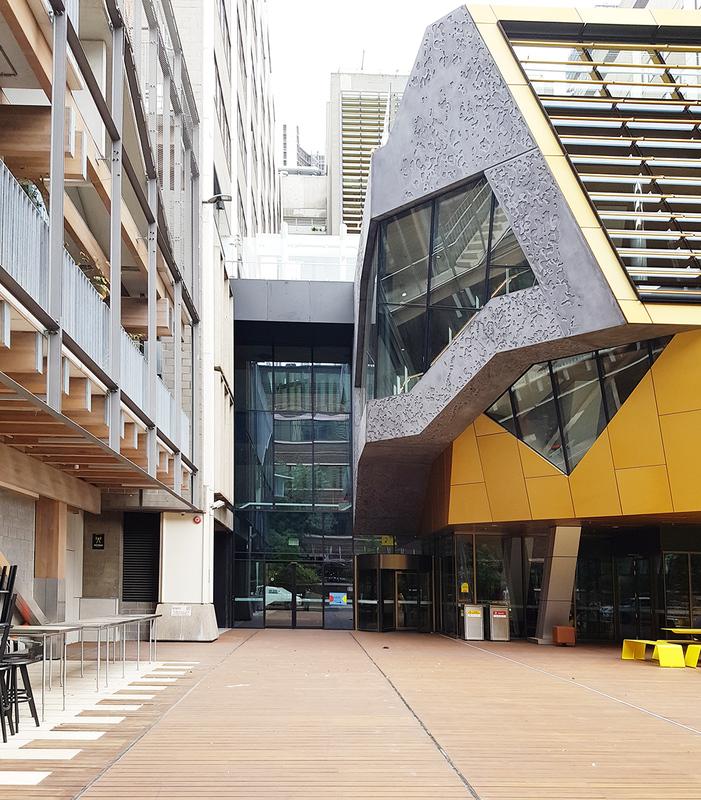 The various spaces and elements which combine to form RMIT's New Academic Street (NAS) have progressively begun to open to students and visitors alike. 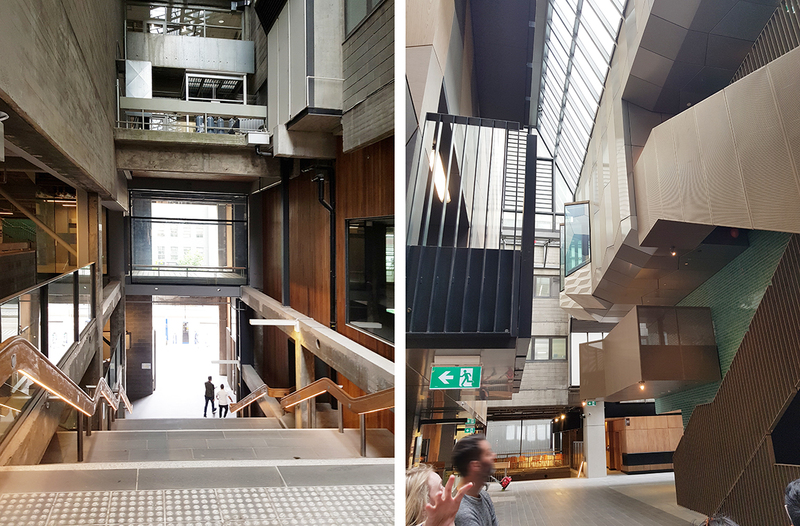 I was recently fortunate enough to be part of an informal group tour through the completed spaces within NAS, led by Harrison and White which had a hand in the project. 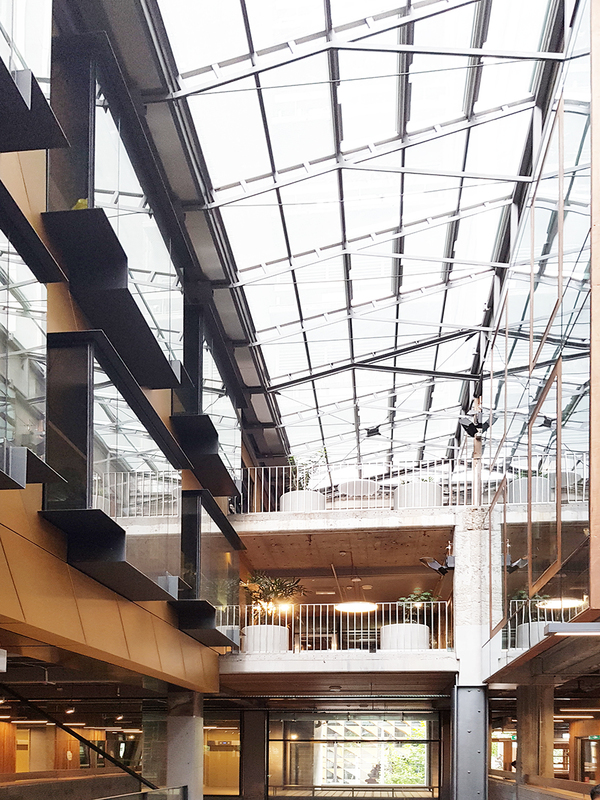 Located at the University's City Campus, the $220 million NAS project was conceived and delivered over a period of 6 years, and includes a range of transformative projects with the intent of creating a stronger relationship between the campus and the street. 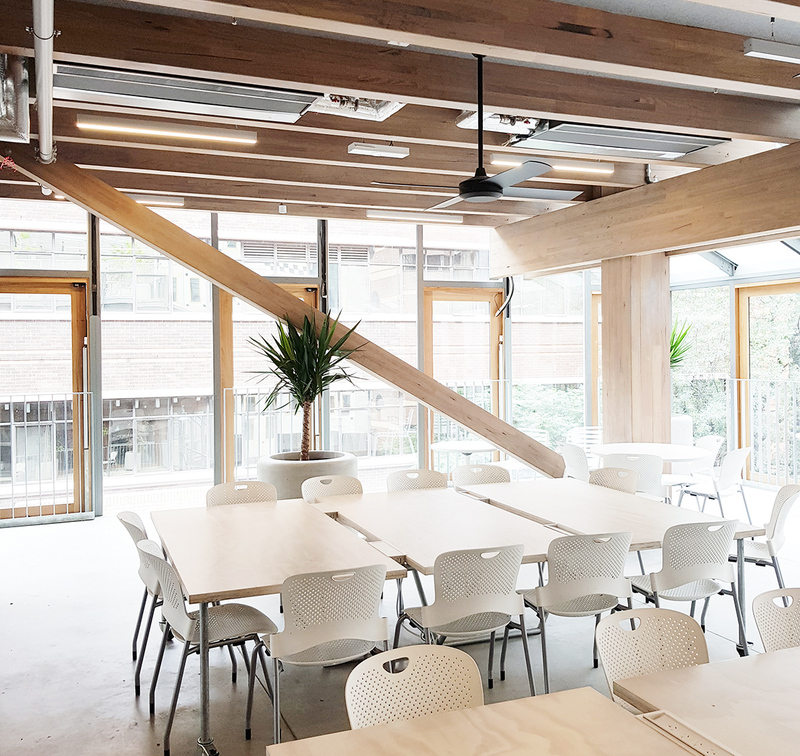 Of course the development also delivers an improved student experience, including new breakout spaces and study spaces. 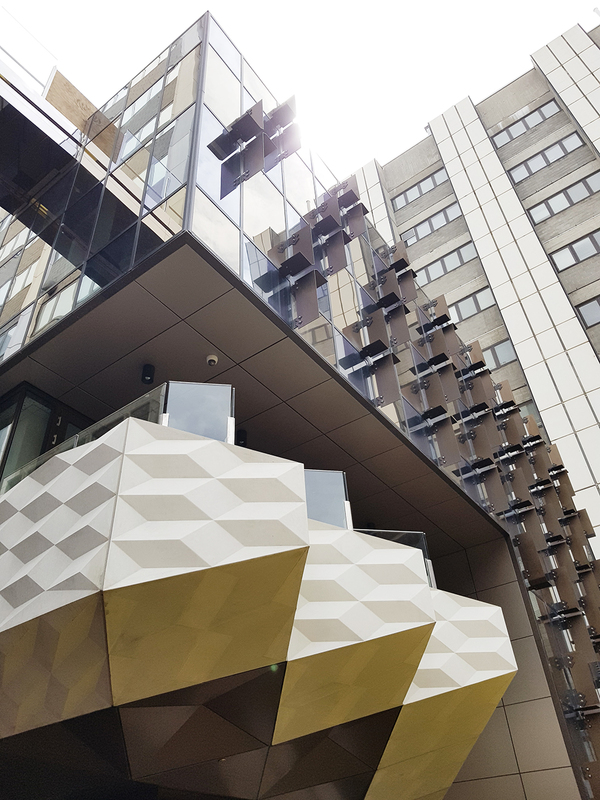 The NAS Project has opened up the City Campus to the street and the sky. 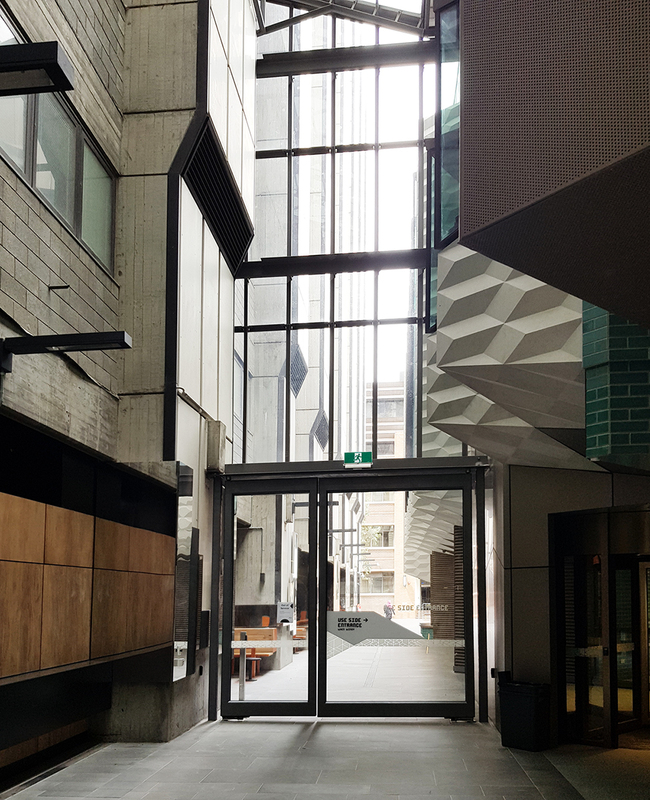 To assist in realising this vision RMIT engaged Lyons Architects, whom also designed the Swanston Academic Building (SAB) directly opposite, to build on some of the conceptual thinking behind the design, particularly in terms of how students engage with the spaces which are dispersed throughout the building. 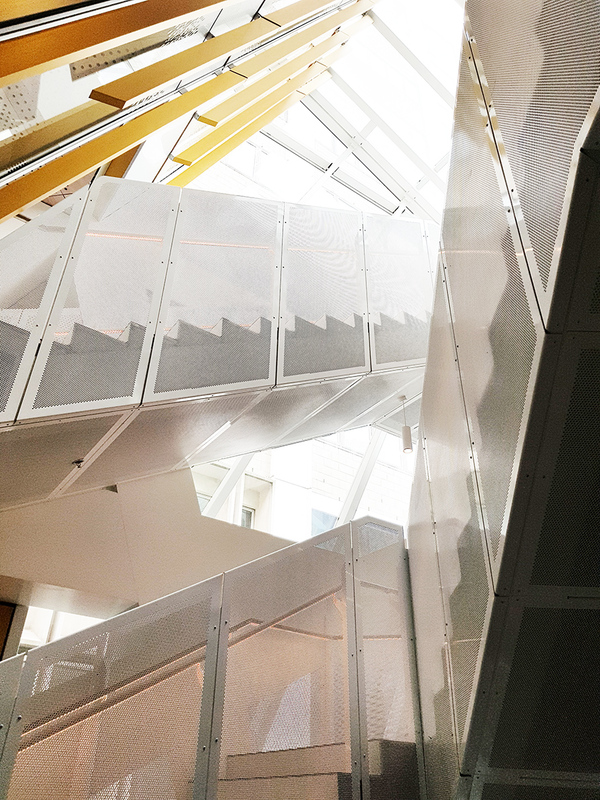 Lyons instead sought to bring on board another four relatively smaller architectural practices to assist in providing the campus with an eclectic mix of architectural diversity, guided by a single vision. 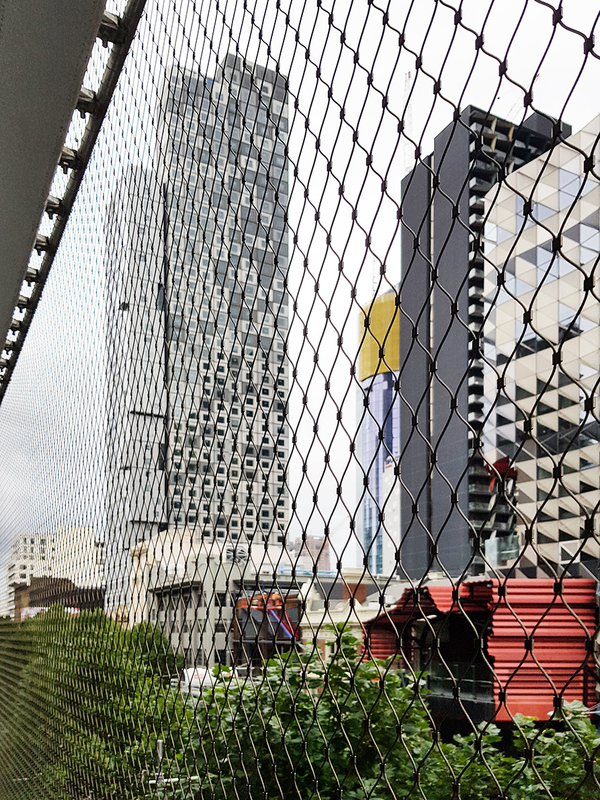 MvS Architects, NMBW, Harrison & White (HAW) and Maddison Architects were joined by Landscape Architects Taylor Cullity Lethlean in proposing a series of interventions to penetrate through the fortress-like perimeter of the brutalist 1970's buildings. 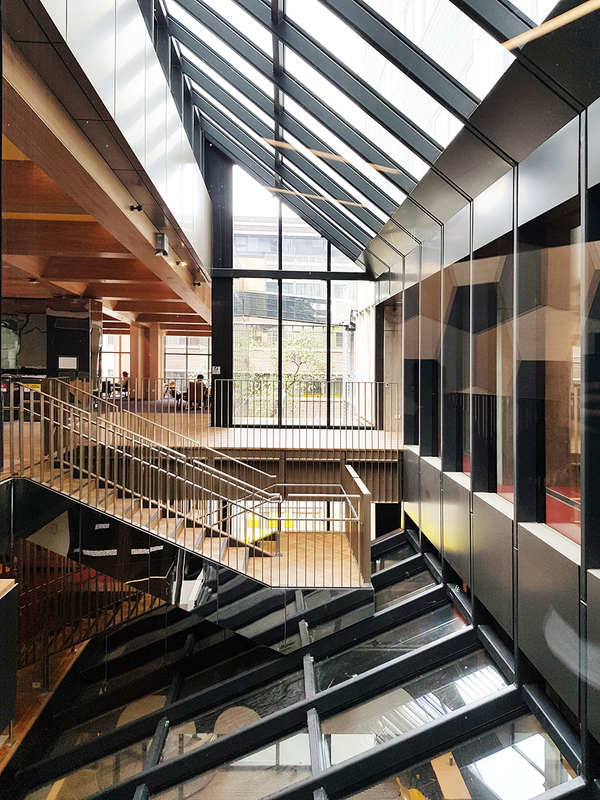 Working closely with RMIT to achieve the university’s goals of a future-looking building that has an unprecedented focus on students. 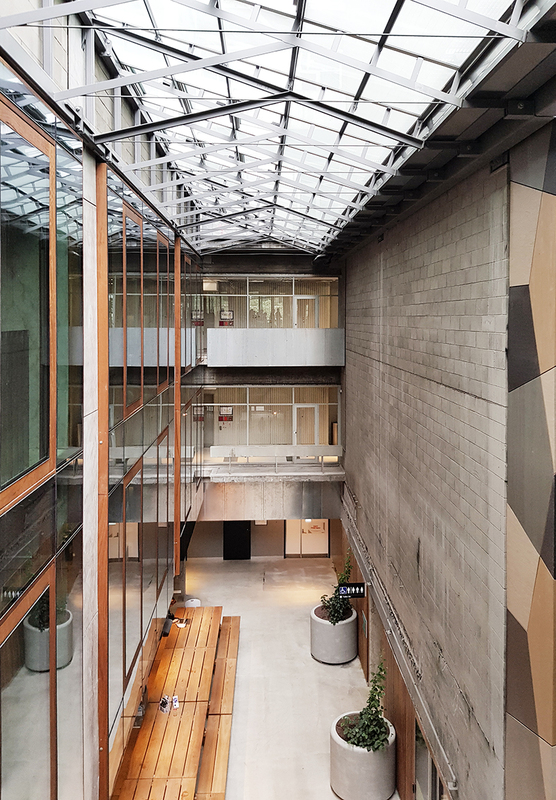 Rather than knock down the existing buildings and start from scratch, the design team embarked on a bold project of adaptive re-use which radically transformed buildings 8, 10, 12 and 14, reconfiguring the heart of the campus. 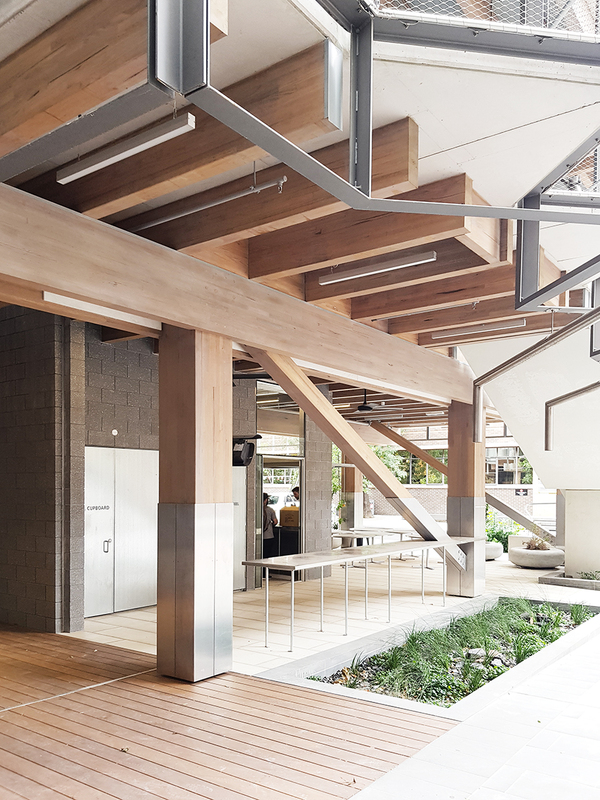 The design team has successfully rebuilt the centre of the campus for students, and in doing so, enabled the university to continue to retain, attract and grow student numbers. 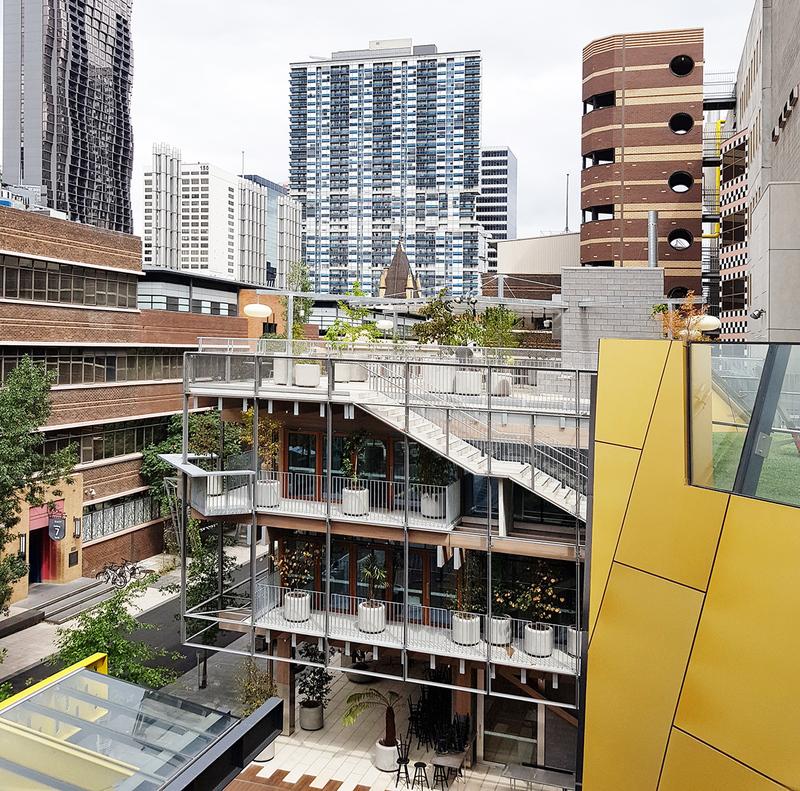 This major project has transformed the scattered RMIT city campus into an interconnected, vibrant collection of buildings. 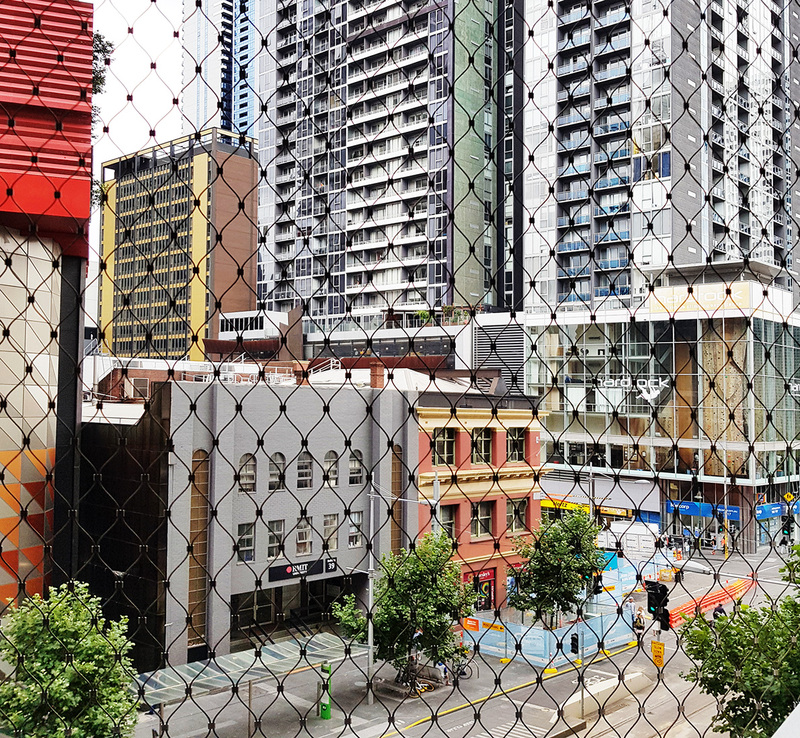 RMIT now offers students a truly vivid, intense city-like experience. 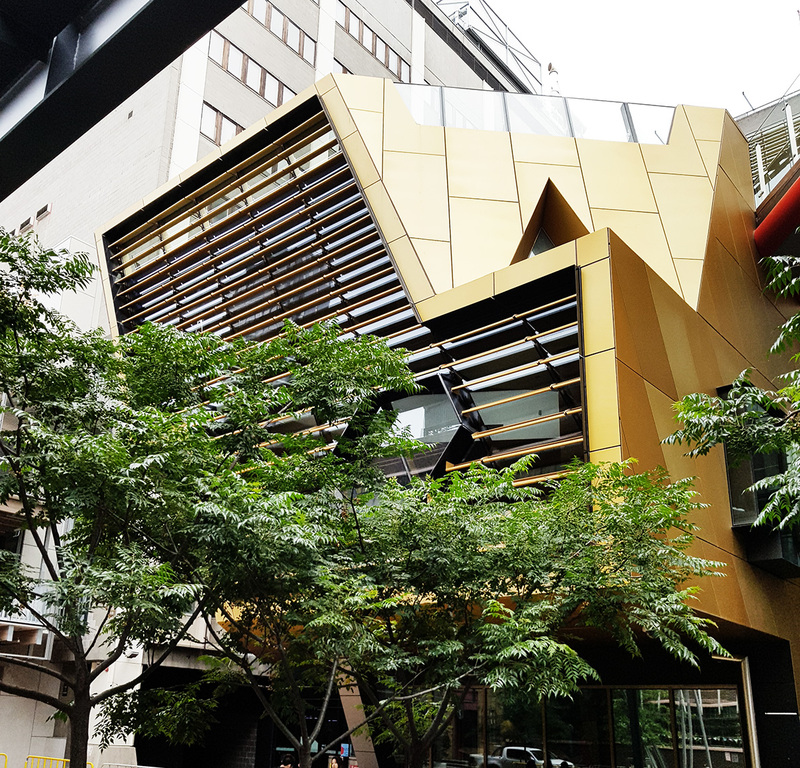 A juxtaposition of architectural forms combine to activate Bowen Street. 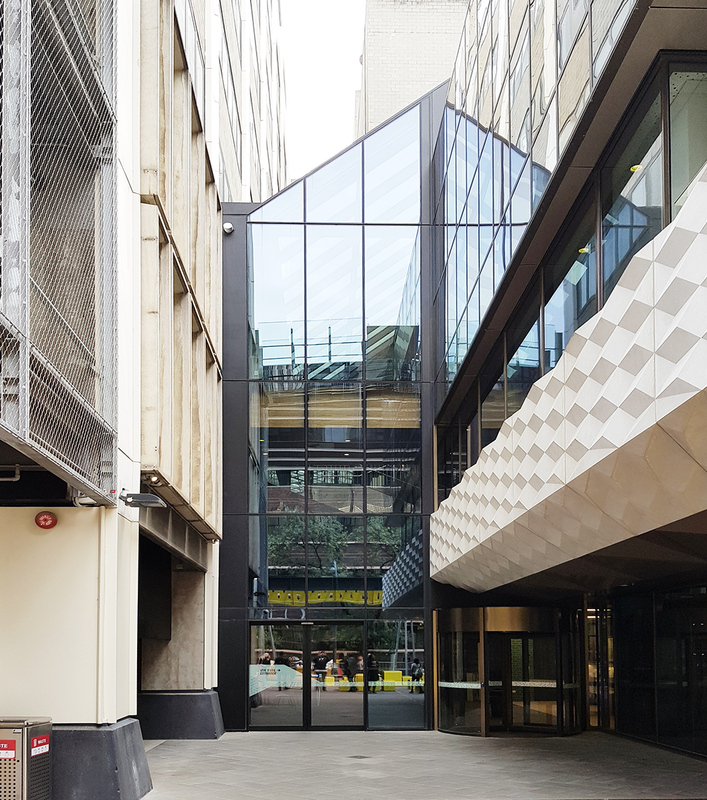 New laneways dissect the campus and help to mediate the level change, creating clearly defined connections between Swanston and Bowen Streets through the University while also improving the wayfinding experience through the buildings. 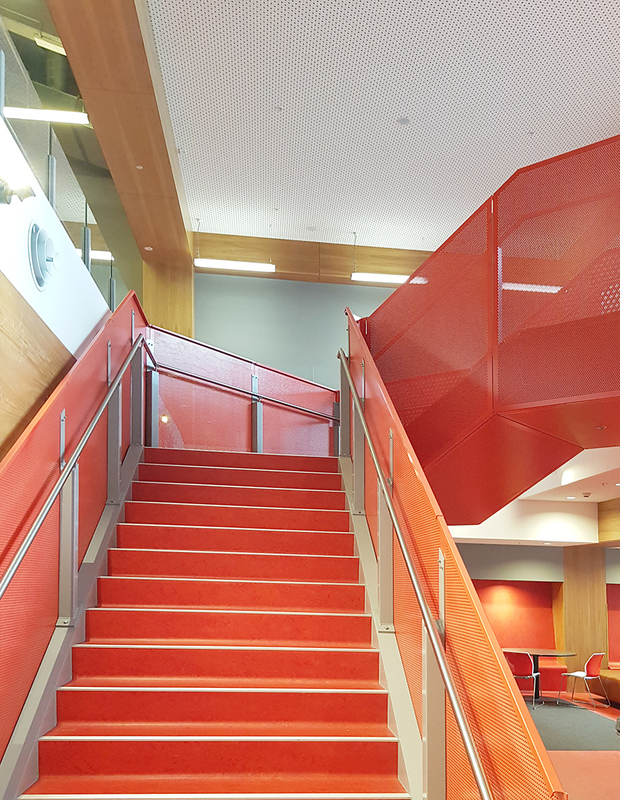 The project also involved the internal reconfiguration and renovation of Buildings 8, 10, 12 and 14, with a greater focus on delivering additional student spaces, improved student facilities and amenities, plus expanding the existing Central University Library. 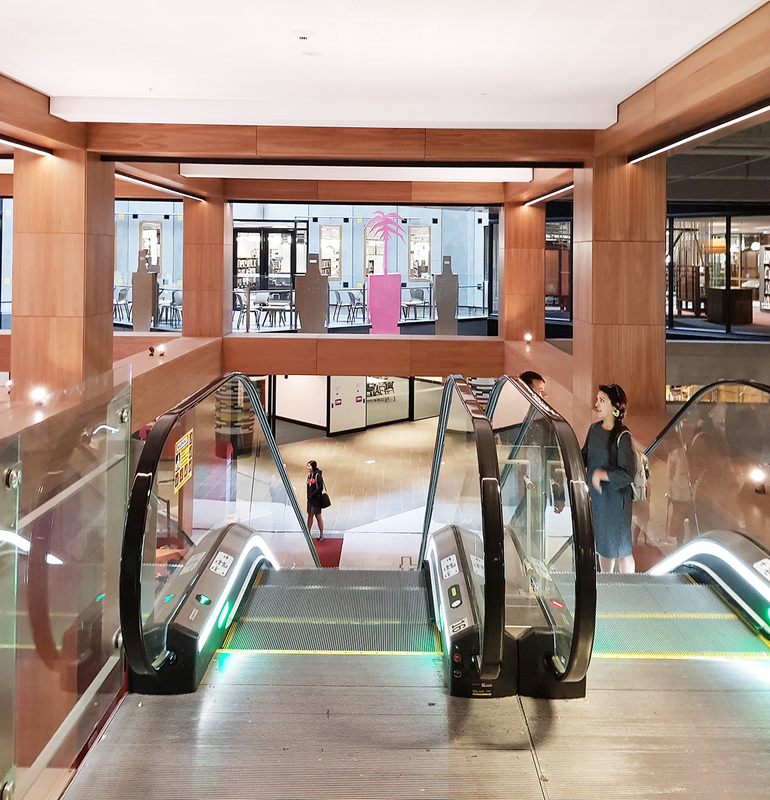 The work of NMBW within this ensemble focuses on making new entrances and ‘arcades’ through the existing monolithic buildings, with associated new vertical circulation (stairs, escalators, small lifts), reworking specific rooms for casual student use within the library, introduction of mixed-mode and naturally-ventilated student spaces, provision of retail tenancies, toilets and general amenities, and the design of a wholly new 3-level building utilising structural timber. 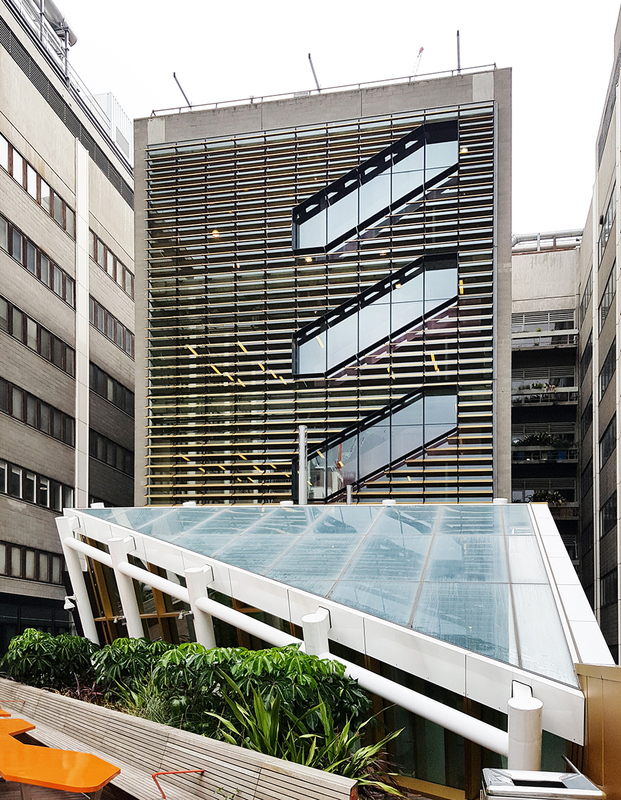 (The Garden Building) creates a ‘student tower’ and beacon at the centre of the new precinct formed by the wider infrastructural works associated with New Academic Street. 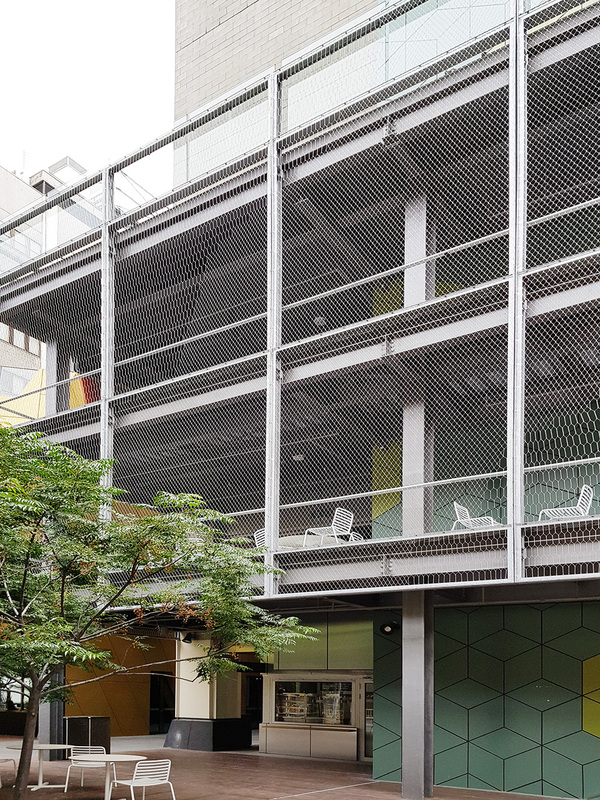 At plaza level, the new structure makes a covered public space, permanently open and served by a small café. 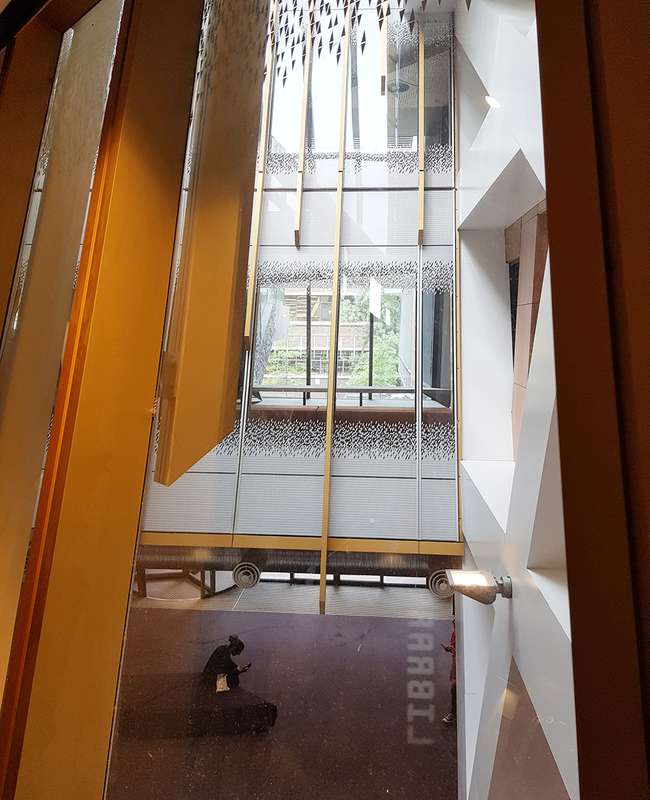 Two levels above are workshop-studio style flexible rooms that can be linked to the library or operated independently. 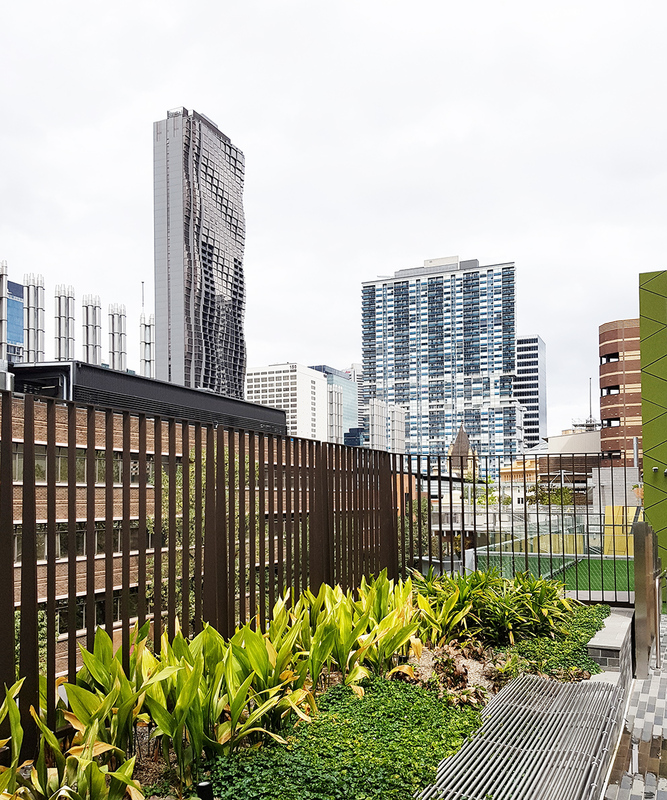 The top level is a social roof terrace, a lively space as part of the suite of landscape spaces at this new level of major public circulation. 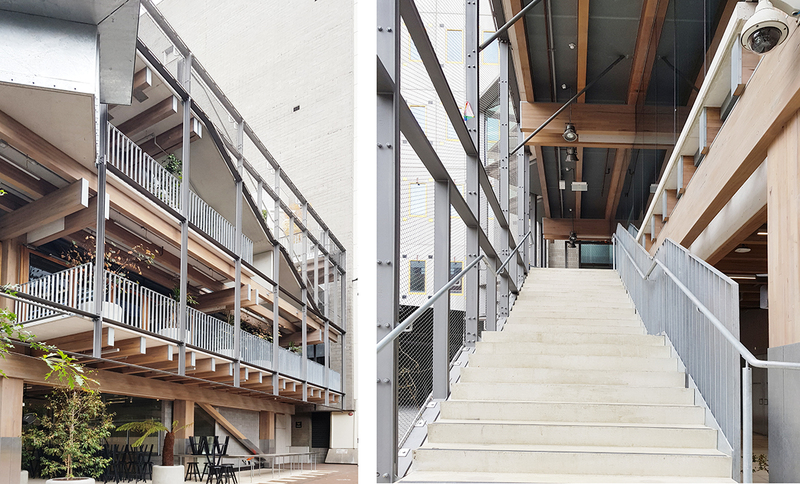 NMBW's Garden Building on Bowen Street was a personal favourite with the 3-storey structure utiliseing glue-lam timber columns and beams to form a new relationship to the existing buildings via a large staircase which allows pedestrian access from Bowen Street up to the new rooftop, spiraling around the perimeter. 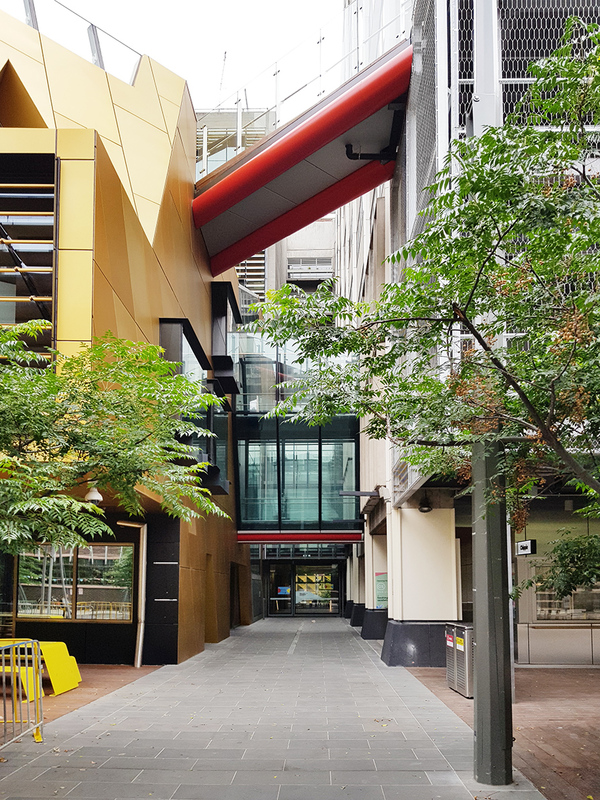 NMBW's Garden Building to Bowen Street. 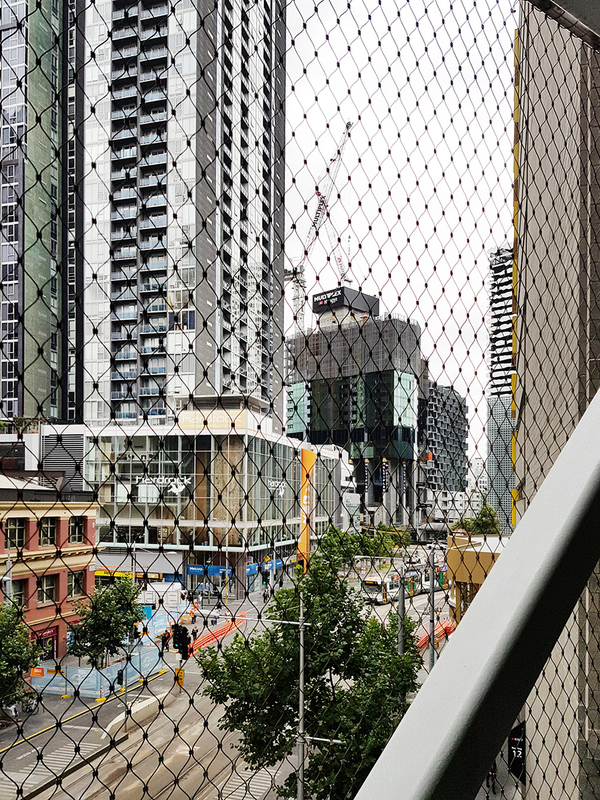 The introduction of five projections along Swanston and Franklin Streets to activate the facades of the Bates Smart-designed edifices, further add to the permeability of the existing buildings and reinforce the vertical circulation up the buildings. 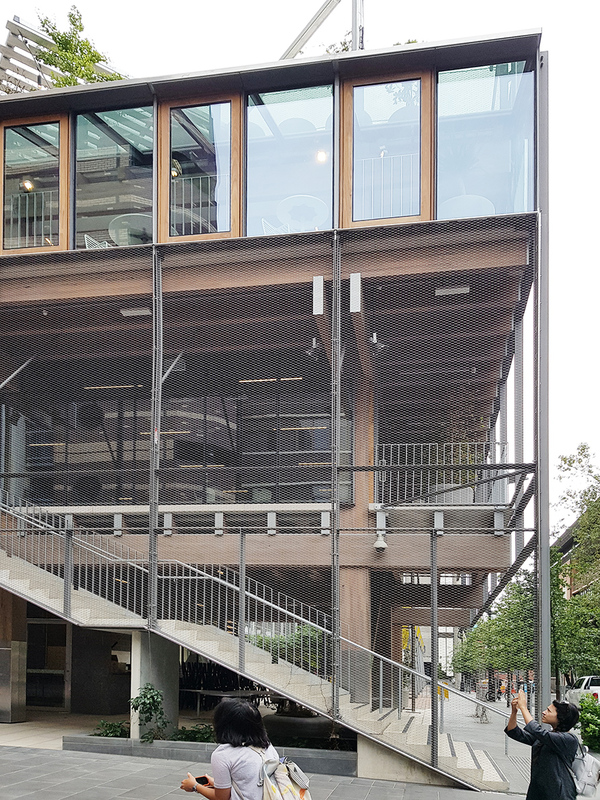 The projections also collectively create a visual relationship between the NAS project and some of the outdoor spaces of the SAB directly opposite, opening the campus up to the outdoors, allowing for passive surveillance and animating the buildings above the street. 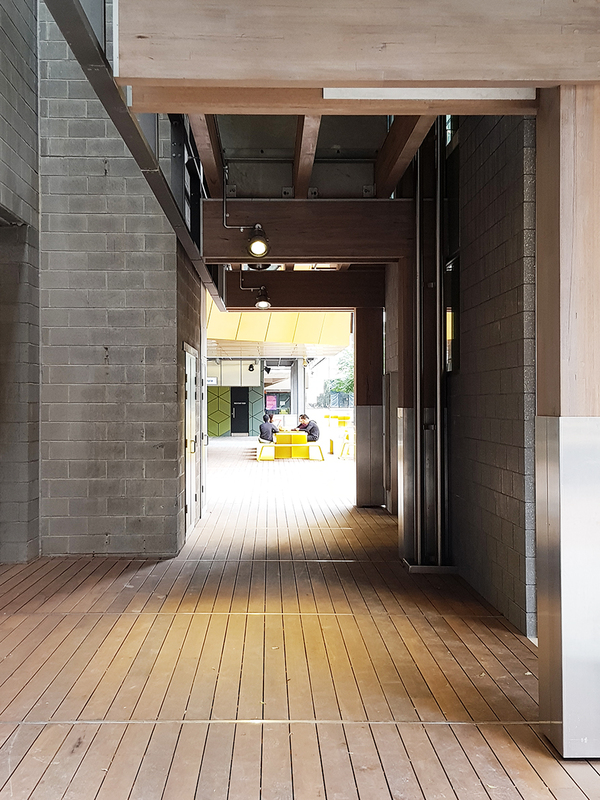 Once again each intervention has been designed by a different architecture firm and continues the architectural language from the Bowen Street facade, further reinforcing the connection with Swanston Street; both visually and physically. 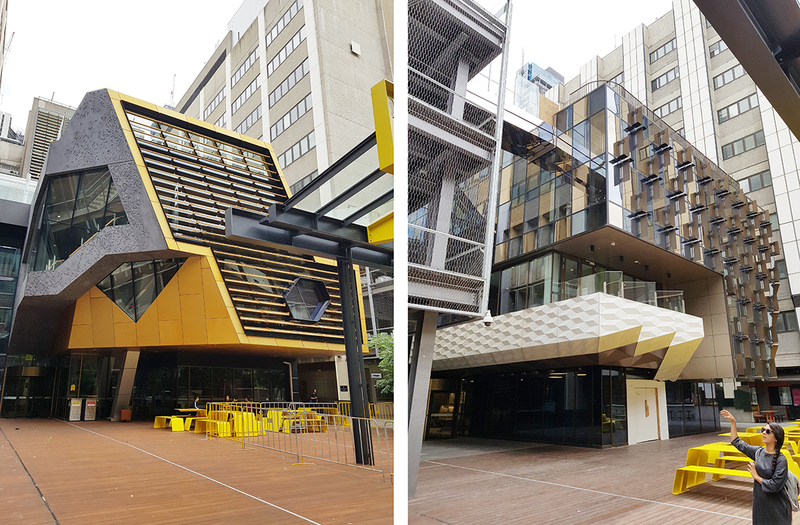 As someone who studied at RMIT, the University's large scale capital works program came well after I had departed, so while I haven't been able to appreciate or utilise the facilities and spaces of the Swanston Academic Building, Design Hub or New Academic Street as a student, I have enjoyed revisiting the City Campus and seeing how it has evolved. A visit to the NAS project is definitely recommended, with further areas still to be completed. 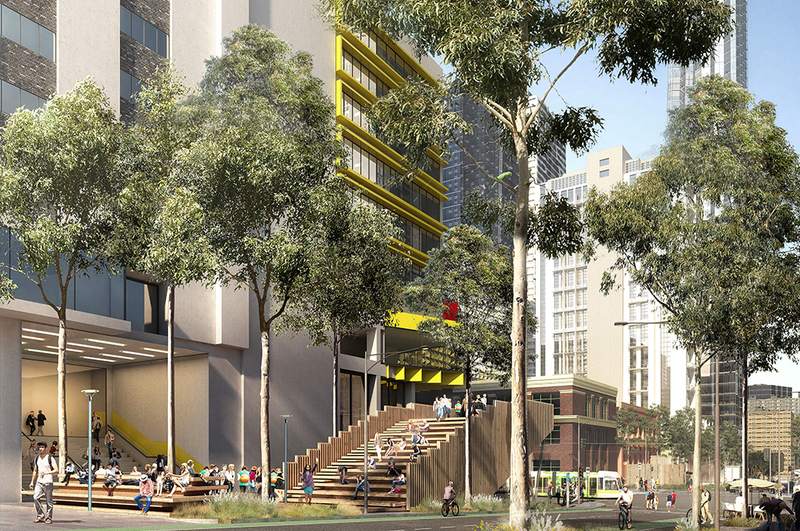 The Melbourne Metro project will further enhance the precinct with a new entry to State Library Station to be built on Franklin Street.